Chicago Bears quarterback Jay Cutler will have season-ending surgery on his right shoulder. Coach John Fox announced Thursday that the veteran quarterback will have an operation to repair the labrum in his shoulder. The procedure is scheduled for Saturday. 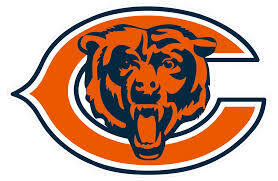 Cutler injured his shoulder during a loss to the New York Giants on Nov. 20 but finished the game. 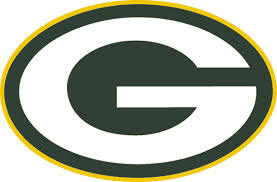 The Green Bay Packers were favored to win the NFC North but are clinging to faint playoff hopes. Green Bay (5-6) snapped a four-game losing streak at Philadelphia on Monday but is two games behind Detroit and one game behind Minnesota in the division standings. This week they welcome the Houston Texans to Lambeau Field. After back-to-back losses at Oakland and home against San Diego, the Texans are 6-5. A heavy favorite to win the AFC South entering the season, they are clinging to a half-game lead over Tennessee (6-6) and a one-game lead over Indianapolis (5-6). Aaron Rodgers is battling a hamstring injury that occurred during the third quarter of Monday's game, but linebacker Clay Matthews is nursing an injured shoulder sustained on a devastating blind-side block by lineman Allen Barbre during the opening series. Matthews, who has missed four games this season with an injured hamstring, got through the game with a pain-killing injection. The Texans rank 29th in the league in scoring at 17.6 points per game. In a battle between two last-place teams, the San Francisco 49ers (1-10) will visit the Chicago Bears (2-9) on Sunday afternoon at Soldier Field. The game carries significance heading into 2017. Both teams are on track to receive top-five picks in NFL draft, and this weekend's matchup could help determine the order of selection. Quarterback Matt Barkley made his first NFL start last week against the Tennessee Titans and likely will be under center once again this week. He completed 28 of 54 passes for 316 yards, three touchdowns and two interceptions and nearly engineered a fourth-quarter comeback before the Bears' final drive stalled inside the Titans' 10-yard line. Colin Kaepernick is creating a buzz with his performance on the field. In four starts in November, he passed for 1,110 yards, eight touchdowns and two interceptions for a 96.0 rating. He scrambled 29 times for 223 yards and a touchdown.